Before she was drawn to Eastern European folk music, Colleen Bertsch was a Twin Cities rock and roller. But Bertsch, a violinist, changed her approach to music dramatically when she joined Orkestar Bez Ime about 12 years ago. She began playing Eastern European music in the new group, which became known as a Balkan party band. An early effort to remake a rock song for the new band showed her how absorbing a different culture could transform her compositions. "It turned into a completely different song," she said of the tune, which after some collective composing became a waltz. "One hundred percent, it sounds nothing like the original." The five members of Orkestar Bez Ime, Bulgarian for "orchestra without a name," have a wide range of musical pedigrees. But they focus their energy on folk music from the Balkans and the Romani culture. 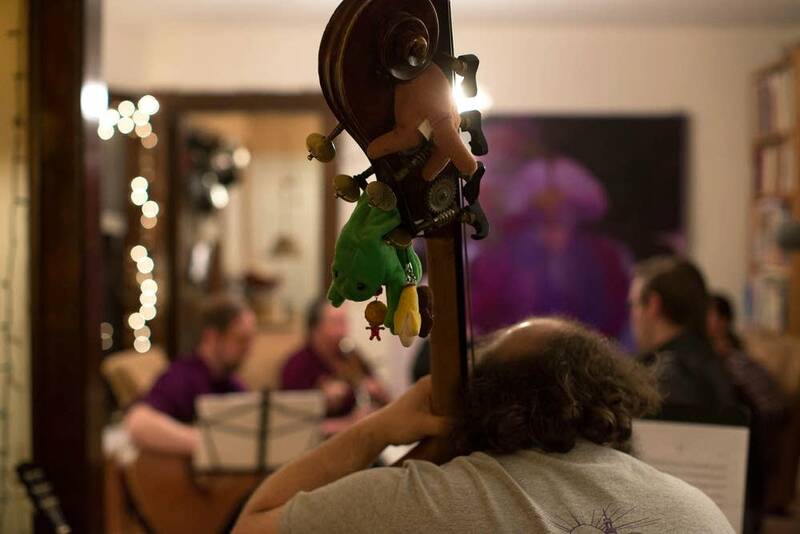 With backing from the prestigious American Composers Forum, they've become a band of folk music composers and will bring their works to the stage Saturday night at Celtic Junction in St. Paul. 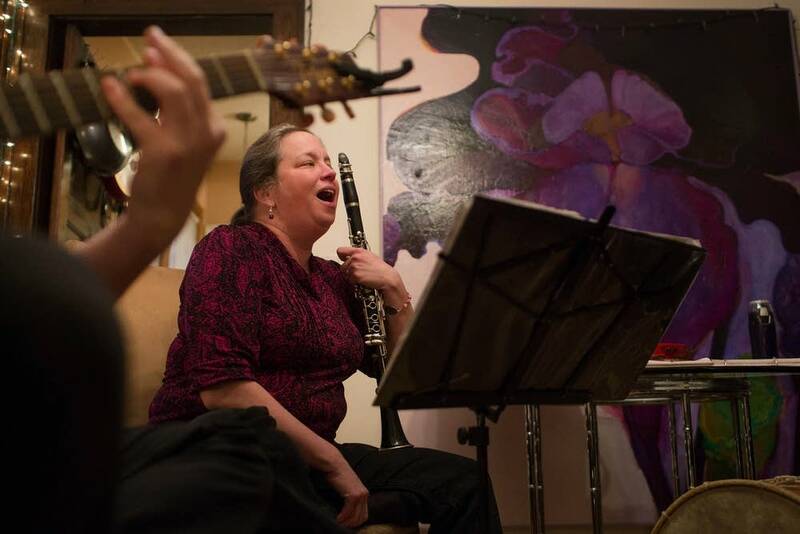 The group's tunes are "energetic and soulful and gripping and intense and all of that good stuff," clarinetist and saxophonist Katrina Mundinger said. That owes to the variations in rhythm, syncopation, harmonics and mood prevalent in Eastern European and Romani influenced music. 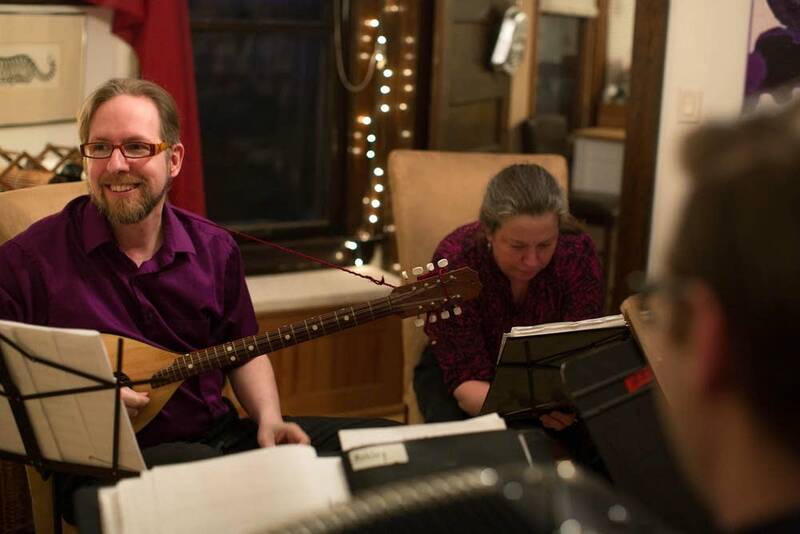 Guitarist Scott Keever, who joined the band five years ago, said in Balkan-influenced music, Romani-infused rhythms have more ornamentation than than Serbian rhythms, for example, and are not easy to learn. After studying and practicing them for more than a year, Keever said he is just beginning to master some of the technique. The music performed by Orkestar Bez Ime will prompt listeners to tap their toes, but for some, finding the beat can be a challenge. That's because the beat of many of the songs is unconventional, with time signatures that are all over the map — 7/8, 9/8 and even 11/16. 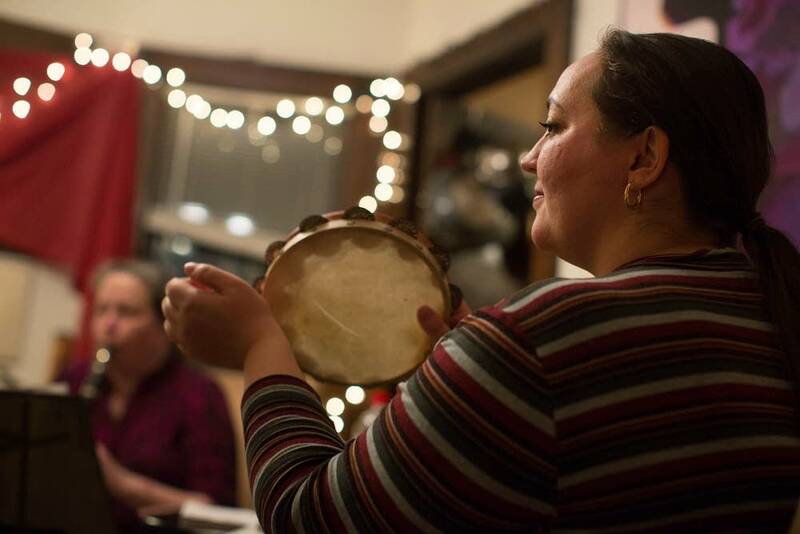 The musicians' immersion in Eastern European folk music began when they comprised the band for the Twin Cities-based Ethnic Dance Theater. A few years ago, the five classically trained musicians scored a coveted McKnight Foundation fellowship. 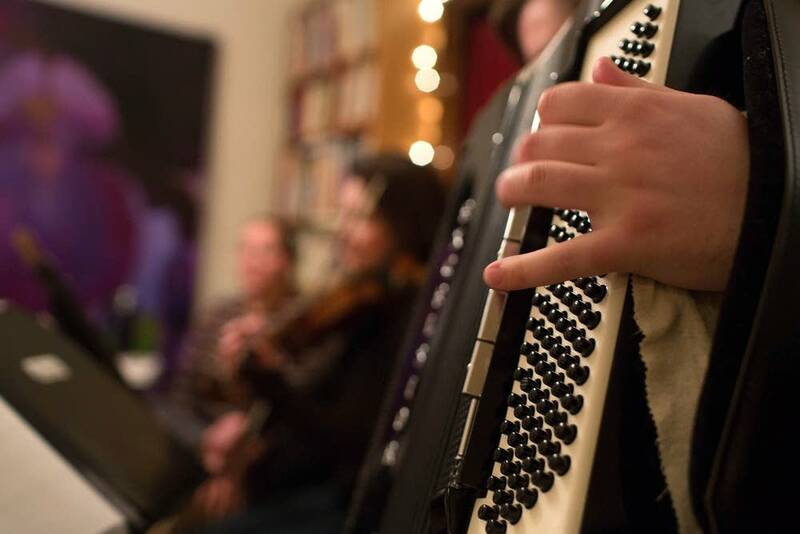 The $25,000 allowed them to travel to the Balkans and study the folk music of Serbia, Croatia, Macedonia and the influence of the Romani people at the Amala music school in Valjevo, Serbia. 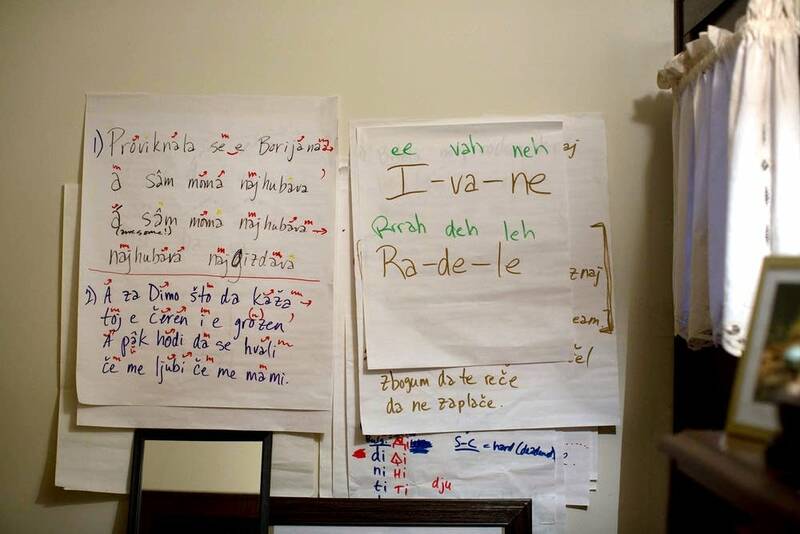 They collected a trove of songs including pieces that accompany particular ethnic dances — the copanitsa, devetorka and pravo. Keever said the ensemble's folk music is influenced by the culture of more than a dozen countries. 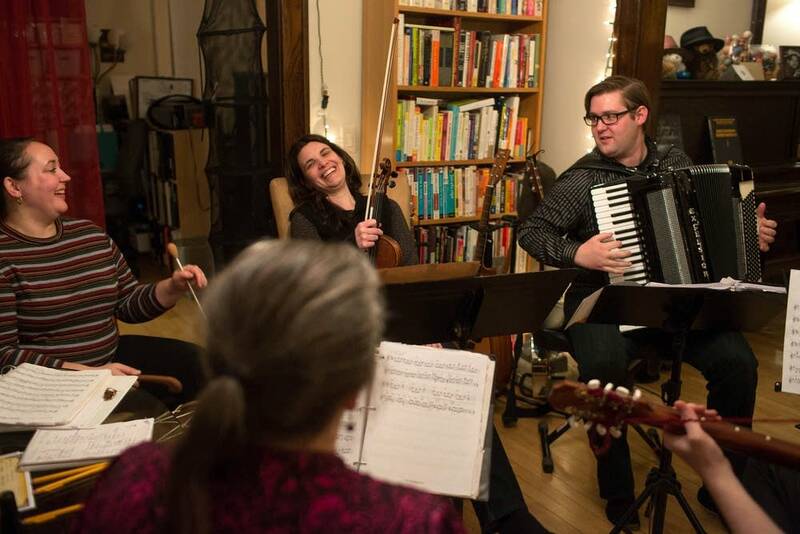 Two years ago, the St. Paul-based American Composers Forum called, offering the group a $3,000 grant to compose original music, including a Balkan-influenced tango. The band had been nominated by their peers for the award, and the money allowed them to spend more time on their compositions. String bass player Matt Miller said performing with Orkestar Bez Ime is a delightful turn of events after being burned out with traditional western classical music. Like most of the band members, Miller performs with other groups to make ends meet and is always on the lookout for work. He said the music has opened a new world of possibilities for him and helps keep the phone ringing. "Tango groups, and Klezmer groups, and it kind of opened my eyes as to I can do more than what's just on the page," he said.